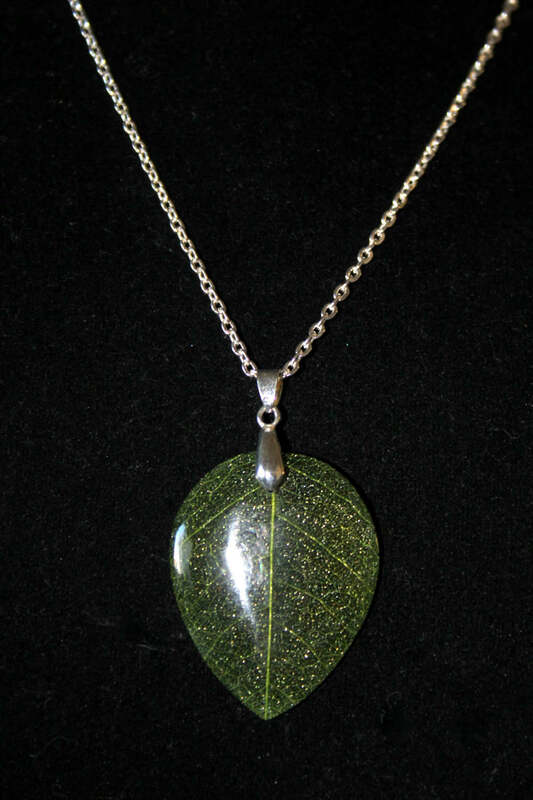 This necklace features a beautiful life-like acrylic leaf that has veins and all the texture of a real leaf plus a little shimmer. It is light and delicate. 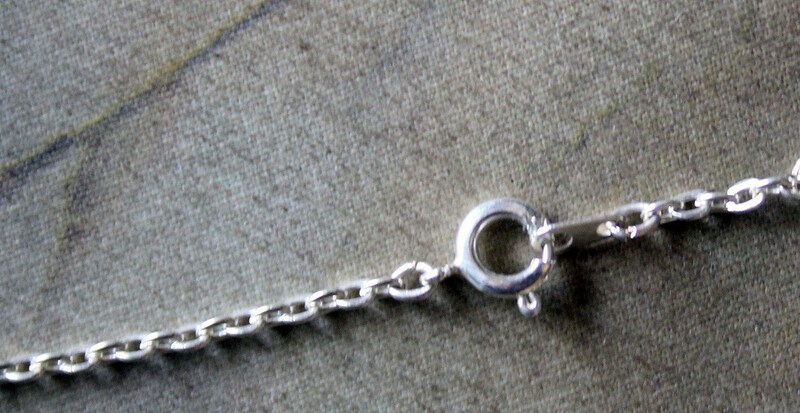 The leaf is on a silver plated cable chain that is 18" long and has a spring ring clasp. The leaf is 2 1/4" long and is 1 1/4" wide. I can also make a pair of custom earrings to match using a smaller version of the leaf. I feel spring coming when I look at this piece.